From the author of The Story of My Teeth, an essay focusing on the damning confrontation between the American dream and the reality of undocumented children seeking a new life in the US. Where Luiselli's earlier work was marked by an elegant, hyper-literary sensibility, this compassionate new one finds her in a head-on confrontation with daily reality ... This book is fueled, in no small part, by Luiselli's bottled up shame and rage. She's aghast at the gap between American ideals and the way we actually treat undocumented children ... Still, for all its nuts-and-bolts look at the immigration process, what makes Tell Me How It Ends so moving and humane is that Luiselli doesn't serve up a catalogue of horror stories that soon grows numbing. In a touch that personalizes the migrant story, she deftly links the experiences of migrant children with her own efforts to get a green card and make a life here with her family. ...simultaneously dazzling and apt ... With anger and lucidity, Luiselli depicts the nightmares these children are forced to flee in Guatemala, El Salvador and Honduras, as well as the destructive ignorance and bigotry that awaits them in America ... she invites us to consider what we want our own roles to be in how this transnational humanitarian catastrophe ultimately plays out. ...a subtle and often personal interrogation of our immigration system ... Luiselli’s awareness of a story’s ability to restrict informs the book’s judicious use of these children’s lives, as well as its quietly brilliant structure as a series of responses to the questionnaire ... Happily, Luiselli does not write with the journalist’s attempt at objectivity. 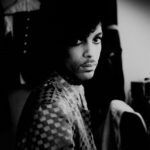 This is an intimate narrative, but it’s not a memoir. The portrait of migration she offers is intended to complicate, rather than resolve or clarify. 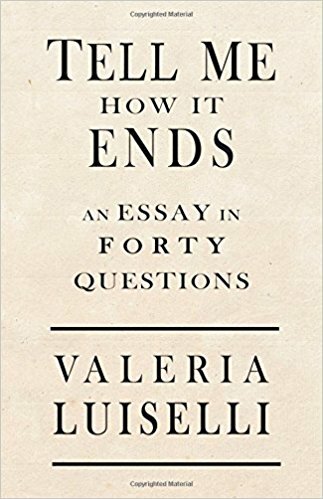 As a result, it’s hard not to want more information ... That said, Luiselli wisely invests most of the book’s energy establishing the moral and emotional foundation of her approach to the work she does as a volunteer, and as an author. What did you think of Tell Me How It Ends: An Essay in 40 Questions?